In 1549 the Navarrese Francis Xavier landed at Kagoshima, and his arrival in Japan opened the relations between Europe and Japan. 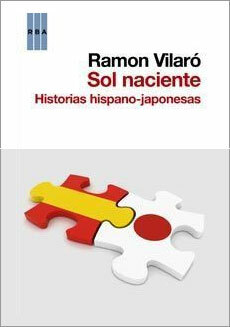 This book traces the relations between Spain and Japan since its origin, half of the sixteenth century, through the period of military expansion of the Empire of the Rising Sun, to the present. He stops at the Nippon expansion period during the two world wars, as Spain represented then Japanese diplomatic interests in the world, and relates episodes as a chimerical plan to send a Franco Blue Division to fight alongside troops Japanese hopes of regaining the Spanish influence on the former colony of the Philippines. However, it also devotes attention to the current period: analyzes Japanese investment in Spain until the popularity of Gaudí and flamenco in Japan and accounts for both the current experiences of spaniard, modern hidalgos, in Japan as the experiences of contemporary samurai in Spain. The result is a real live story on one of the world's economic powers that the inhabitants carecterizan overcome adversity by either a relentless atomic bombing, a devastating tsunami or a severe nuclear accident.